Oh Man. I bet some of you thought I was just messin’ with your head. She ain’t ever going to come up with that paint collection. But I said I was and unless there’s a God forbid natural disaster, it’s going to happen. It’s just that I really pulled out the stops here and it took me HUNDREDS of hours to put this together. This has become more like a paint-color Bible! And let me tell you that I’m absolutely bursting with pride over this one and can’t wait to tell you what it’s all about. Please note that the paint collection is sold with the paint palette collection. Over the last couple of years, I’ve received hundreds and I mean hundreds of inquiries about paint colors. I get it. They drive you nuts. And I know why too. Then, when you finally figure out the wall color (hopefully, it’ll be okay) there’s the damned TRIM! WHAT COLOR DO I PAINT THAT??? That is how the idea of the Laurel Home Essential Paint Color Collection was born. What if I could come up with a few dozen wonderful Benjamin Moore Paint Colors, along with the trim colors and give people a hand here. I can’t possibly help everyone but this is the best way to help as many people as possible. As I was selecting the colors, the Paint Collection grew into something far greater than just a list of colors. Lots of people do that and it’s certainly nice, but it’s not really answering some of the questions so many of you have. This collection is now a 250 page PDF guide that is crammed with information you can’t get anywhere else. Each color family has from 9-21 colors, so it’s very balanced. Below are the colors, without the names, of course. The actual colors/numbers are inside the guide along with the fan deck they come from. *NOTE* The graphic below is designed to be a pinterest pin, so please feel free to share! If you scroll down, you’ll find the white hover P which will take you to your pinterest page. Each of the 12 color families has an image to lead it off. Here are three of them. There is a 5-page preamble discussing white paint colors that I think is going to be very helpful. 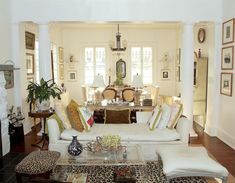 While there are 12 whites in the collection, I am going to tell you the only FOUR white trim colors you’ll ever need for any situation if 12 feels too daunting. At least one of those four trim colors will be a choice for each color. Pretty, huh? Well, I like how they came out. Each color gets a full-page with a link to an image showing the color in a room setting. Here, let me show you a few screenshots, so you can see exactly what I’m talking about. Behind the paint color pages are FOUR BONUS CHAPTERS! Now, maybe you can see why this took me nearly a year to put together! Announcement. As of November 2, 2016, this product is sold only in conjunction with its sister product, the Laurel Home Ultimate Paint Palette and Home Furnishings Collection. To find out more about, Part II, The Laurel Home Ultimate Paint Palette & Home Furnishings Collection click HERE. And that’s all there is to it. You will be taken to a secure Pay Pal Gateway to pay. To purchase now click this button. PS: If you’d like to add Laurel’s Rolodex and get $40 off of your rolodex, you’ll be given the chance when you put the paint/palette collection in your cart. I see that you are struggling with your colors which is exactly why I wrote this nearly 500 page guide. The page you are commenting on is only Part I. There is a link to part II near the bottom of the page, or in the side bar or the link, more help for your home if you’re looking on a desktop, laptop or tablet. There’s a link in the menu on mobile, as well. It’s almost like having me in your home. Actually better because there is no way that I could convey all of this info in 100 hours of being in your home! You had me “cracking up” when sharing your article on trim colors. It was like you were inside my head. 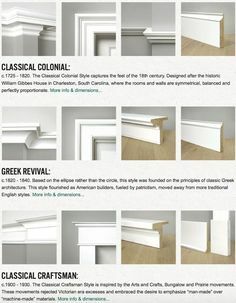 I have a design degree, teach art and know the importance of choosing the right trim color. In trying to keep life simple, minimize the stash of paint cans, I have made three trips to the store for trim color. ( my loving spouse tossed the empty paint can of trim ). And…. everyone, family, thinks I’m crazy! Thank you for simplifying life and having fun with design choices. Thank you soooo much for all of your articles and I always learn something new. This weekend we painted our bedroom Newburg green! I used your paint palette guide to help me decide. And did not overthink it. It’s gorgeous. And my very conservative, afraid of dark colors husband absolutely loves it too. They are two separate things. One is a guide that explains how to choose paint colors. The other that is not free is a curated paint collection of 144 colors that took me a year to put together. PLEASE TEST before painting!!! (there’s a link in the guide near the begining for that too) Please, please, please! I don’t want anyone crossing fingers and hoping for the best. I want them to feel confident in their choices! Most likely, it’ll be fine, but it’s better to be 100% sure, IMO. Paint colors are so light dependent and yes, even with testing surprises can happen but maybe not as much. And yes, when one tests and sees dirty on one wall and clean on another that can create confusion. Which one is it? I just downloaded your Laurel Home Essential Paint Color Collection and I really love it! I was one of those people agonizing over which white to paint my kitchen cabinets after I emptied my kitchen, tried White Dove as top coat #1 and found it to be too stark for my kitchen. Maybe I don’t even want white cabinets? When, oh when will you have your color palette guide ready for us? I am planning on having that for September. In the meantime, if you want a creamier white, try Ivory White or Swiss Coffee. Or even Linen White. Laurel, THANK YOU for the work you put into this guide for us! It is so worth the purchase. What is your advice on varying tints/shades from room to room? For example, if I choose Marilyn’s Dress 2125-60 for my family room, can I go with Stormy Monday 2112-50 for the adjacent living? Or should I stick with the hue on the same strip but at the same tint level as Marilyn’s Dress, which would be Cement Gray 2112-60? Years ago I heard someone say you should stay on the same tint or shade “level” (40, 50, 60, 70, etc.) from room to room. Thank you so much. You could possibly do either of those choices. But here’s the deal. You can paint the entire home one color. Now stand in your living room and look out into the hall and then the next room. Well, you probably don’t have this situation, but if you did, you would see that in each room, the color looks different. Whoa! Once I painted my kitchen a pratt and lambert color called sesame seed and then my den was very close to BM 521 which is a greener color. But from my living room, the two perpendicular walls between the two rooms looked the same. I have seen situations where two walls next to each other are the same color only one looks so different from the other that it looks like a mistake! It’s the lighting. It’s the most important factor. Laurel, this book looks amazing! I found your site after having paralysis over paint schemes for our new home (that is stuck in a 1978 time warp and needs color so badly!). My question for you is if the basic color principles and swatches in this book can translate to other brands of paint? 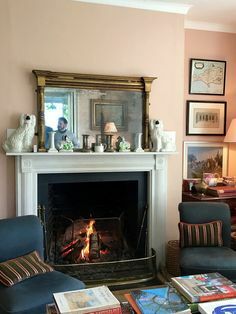 My husband cannot be convinced to shell out for Benjamin Moore but my dilemma is more based in basic shade/color family coordination than some magical, perfect can of paint, anyway. Would your book still be a helpful purchase to me knowing my husband is probably going to insist on Behr instead and I’ll need to coordinate what I see in your book to the shades that brand offers instead? Or is it really very brand specific in principle and advice? Absolutely! I think it would be very helpful. The collection is not meant to be the end of all of everything. It certainly can be, but as I say in the introduction, a color that’s one up or one down on the strip of paint chips might be better for your unique situation. Most of the colors are in the two big BM fandecks, so it’ll be easier when comparing paint chips if you acquire those from BM. In addition, I think that Behr can probably approximate the BM colors. I’m not 100% sure about that. But the other really cool thing is that there are the best trim colors for every color, so that becomes like a Rosetta Stone for figuring out trim colors for every other color, even if it’s not in the collection. I can’t seem to get the discount. Do I need a promo code? I have looked high and low for one in your emails and on your posts–to no avail. This is very confusing. For rolodex and paint guide cost should be $208 (right? ), but it says $223. Please help. I’d like to get this done by the deadline. I would like to order your Essential Paint Color Collection but have some concerns. We have a simple, single story ranch home, without much architectural interest and only eight foot ceilings. We like warm colors and since our home is not flooded with good lighting from outside, we prefer lighter or light reflecting colors. My monitor may not be displaying the colors properly but there seems to be a lot of gray, greige, dark blues, dark reds and other dark colors that we neither like or would consider using, even though we have tried to be open to it. In the last few years we purchased two bedrooms and living room furniture in Stickley Mission Oak, Onondaga 32, although we don’t have a nice little Craftsman home. Some greens look very good with the furniture and we have painted both bedrooms in a green color. Could I expect to find light warm colors for the rest of my home with your collection? Yes, there are a lot of warm colors. There are 12 shades of yellow, cream and gold and also some creams in the white section. There are also some very interesting greens, many with a yellow base and some light ones too. And there are several khaki beiges, with warm-greenish undertones and some of them are also light or medium-light. I’d love to purchase and read your colour guide, it is exactly what I’m looking for… Only thing is, I live in the UK and BM paint is only recently available, outrageously expensive, and usually not sold as tester pots. 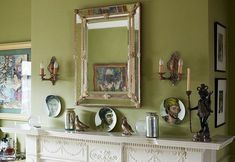 Farrow and Ball, Little Greene, and Paint and Paper Library are the general preferred paints for higher end refurbs. Do you think this guide would still be of value to me? Thanks for such a sweet note, Megan. Yes, the house cleaning can wait! lol And don’t forget to spruce up the home you are selling. It may be counter-intuitive. People often don’t bother and don’t want to spend the $ because they think that the new owners will want to fix it up their way. But even if they do, they still want “move in ready.” Your home will sell more easily and for more $ than if it looks like it needs something. Oh WOW. It’s here!!! I’d buy it just for the way it’s written.So cool. You are right. I was considering Amazon Soil which is in that family. I think those shades are sometimes very intense and I did have the Caponata. The next closest are the more browny deeper lavenders. Well, maybe it’s just one. Perhaps one day, I’ll expand that category. Great guide to a wide spectrum of colors. Helpful for both for the person who likes explanations to better understand color nuances and for one who likes a go-to list of suggested colors. I just spent several hours reading the whole book…and I can’t imagine how much work this was, but it is a great resource for anyone that has to choose color! I can’t seem to place my order on the website, is there another way to do this. I would buy the rolodex in a nano second but I live in Canada… it won’t allow me to bypass the rolodex. Good luck with all your projects, I’m a big fan. Hi Natasha, That’s a good question and one that others will have as well. You do not have to print it out. You can download it on your devices which a lot of people prefer since it’s so portable. Please note that it must be downloaded. You have a bunch of chances to do so, but it’s limited because of the one in a million who has other ideas. If you wig out, no worries. I can reset your counter. However, if you would like this in a tangible form, there are places that will do it for a reasonable price. Here is a link that will take you to them.